Quick Summary: This lesson incorporates clips from Blue The Film as learning inspiration. In this finding out lesson, students will examine biographical and reflective language and text structures. They will consider the experiences the experiences of Dr Jennifer Lavers and how she has worked to make a difference to the environment. Using a selection of thinking, planning and writing tools, students will analyse the role of biographical and reflective language in communicating with audiences to inspire them to take action. 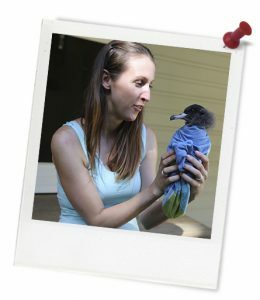 Students will then produce a short written biography of Dr Jennifer Lavers and her achievements and work with seabird colonies. Students will understand how biographical texts can be used to communicate individual stories and inspire action among audiences. Students will enhance their skills in making language choices that communicate both their understanding of individual stories and the actions and achievements can inspire audiences. Relevant parts of Year 8 English achievement standards: Students explain how language features, images and vocabulary are used to represent different ideas and issues in texts.They listen for and identify different emphases in texts, using that understanding to elaborate on discussions. Students understand how the selection of language features can be used for particular purposes and effects. They explain the effectiveness of language choices they make to influence the audience. Students create texts for different purposes, selecting language to influence audience response. They take into account intended purposes and the needs and interests of audiences. Students demonstrate understanding of grammar, select vocabulary for effect and use accurate spelling and punctuation. Resources required: Student Worksheet – one per student. Device capable of presenting a website, clip and digital worksheet to the class. Seabirds Stimulus Images Sheet, Biographical Writing Factsheet, Reflective Writing Factsheet, Jennifer Lavers Biography, Valerie Taylor Biography, Editing Checklist. Keywords: Blue The Film, ocean conservation, marine ecosystems, reflection, language, ocean, biographies, seabird colonies, plastic pollution. Learning intentions: Students will understand how biographical texts can be used to communicate individual stories and inspire action among audiences. Students will enhance their skills in making language choices that communicate both their understanding of individual stories and the actions and achievements can inspire audiences. Students can describe and explain the language and structural features of biographies, providing examples of how they can communicate important information about individuals and their achievements. Students can use biographical language and text structures to write their own biography of Dr Jennifer Lavers, demonstrating their use of language to communicate information about Dr Jennifer Lavers, her work and achievements. Thought starter: Who is Dr Jennifer Lavers? Part A: Think of the Seabirds! Complete the 'See-Think-Wonder' visible thinking routine below. This activity is a visible thinking routine that encourages you to make observations and interpretations about what you see. It can also help you establish goals for further learning. 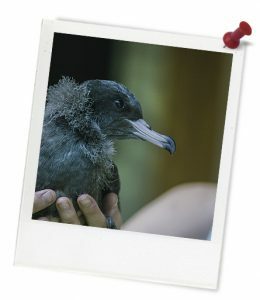 Respond to the image on the Seabirds Stimulus Images Sheet that captures your attention. Did anybody think something different about this image? What might that be able to tell you about seabirds/marine ecosystems? Part B: Who is Dr Jennifer Lavers?